Now is the time to contact us and let us prove to you our efficiency, professionalism and honesty in servicing your business or property. DC Local Locksmith Experts are based in DC, but we service Washington, DC and the surrounding areas in Maryland and Virginia. Having the ability to reach communities in need of our service, we pride ourselves in maintaining quality service, exceptionally well-trained technicians who respect our clientele, and know the professional approach to service. Contact DC Local Locksmith Experts today, to discuss what we can do to increase the fire protection of your facility. DC Local Locksmith Experts would like to welcome you to a unique fast and friendly service we provide, in addition to our lock, key, and general locksmith service we now have. We’ve taken that extra step in providing the maximum service to the community, and that is in the installation and repair of fire rated doors for the protection of structures. DC Local Locksmith Experts is proud of the advancements we have made in the safety of many communities in Washington, DC and surrounding areas, providing locksmith service to businesses in DC to maintain their property with fire rated doors, both interior and exterior fire rated door; but we also do door jamb repair, door frame repair, door hinge repair, and all hardware related to the installation and safety regulations required for the safety of our clients. 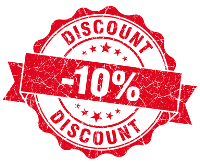 Our professional team are trained experts in this field. They know how and why we need to protect the possessions and structures of businesses, no matter the type of business. We pride ourselves in being the front runners in installation, repair and maintenance. Our staff is friendly and expertly trained to know this business, provide fast and accurate service with upfront pricing. We pride ourselves in our fast and friendly, 24/7 DC door services offered to our customers and clients. It is important that you know we are available when you need us, and we service our installations on-time. Emergency service is a standard. Emergencies are processed as quickly as possible with a guaranteed 30 minute response time. We are there for your protection and service night and day. You secure the protection with us, and we’ll provide the maintenance for you. It is as easy as that, because we know how and have the technicians to provide the expertise. Of course, we offer complete fire rated door service in DC, and surrounding areas, because our technicians are skilled, extensively trained and provide a professional expert service on every installation or repair. 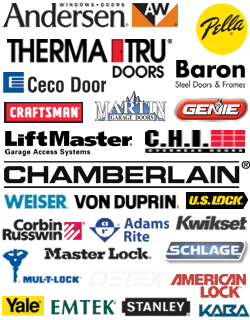 If you need a change of door hardware, we have a large selection of types and styles to choose from. Our staff is trained to thoroughly examine your needs, suggest additions or replacements to your already secure property. We also provide suggestions for upgrades to your property with new doors, and repair the existing interior doors you now have. New installations and previously installed items in need of maintenance. Maybe it is time to replace existing fire rated doors or install new doors. Let us assist you in planning this upgrade. This is an area we shine with our expertly trained staff and technicians. We provide you with a plan to install new, updated and efficient fire rated doors for your property protection, include upfront pricing and plan to a timeline to complete the project. Not only are we experts in this field, but we are bonded and insured for additional service protection. Now is the time to contact us and let us prove to you our efficiency, professionalism and honesty in servicing your business or property. DC Local Locksmith Experts based in DC, but we service Washington, DC and the surrounding areas in Maryland and Virginia. Having the ability to reach communities in need of our service, we pride ourselves in maintaining quality service, exceptionally well-trained technicians who respect our clientele, and know the professional approach to service. Contact DC Local Locksmith Experts today, to discuss what we can do to increase the fire protection of your facility. 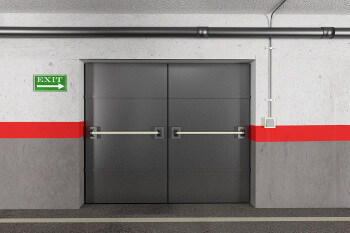 Fire Rated Doors https://dclocallocksmith.com/fire-rated-doors-dc/ 4.6/5 based upon 5 reviews.